CNMAT is pleased to announce the appointment of Mr. Carmine Emanuele Cella as Assistant Professor in Music and Technology in the Department of Music at the University of California, Berkeley. Professor Cella will begin researching and teaching at CNMAT in the Spring of 2019. From 2007 to 2009 he worked as a researcher at IRCAM in Paris as part of the Analysis/Synthesis team and later served as Composer in Residence at the same institute. In 2009, he co-founded the technology and music company 31tone, with Niels Bogaards, dedicated to professional research and development for audio. From 2013 to 2015 he was head of technical design at Mogees LTD, working on human-computer interactions. From 2015 to 2016 he had a post-doc position at Ecole Normale Superieure in Paris working with Stéphane Mallat on mathematical models for sound representation using deep learning. 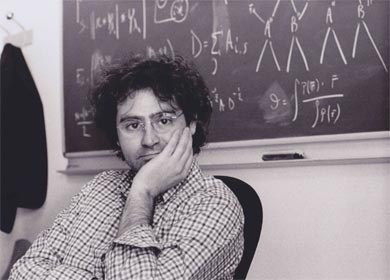 He is currently finishing his work at IRCAM and a post-doc appointment at Haute École de Musique in Geneva working on machine learning methods for computer-assisted orchestration. As a composer, Cella is widely commissioned and he has been a member of the National French Academy in Madrid, Casa de Velazquez in 2013, and Fellow of the American Academy in Rome in 2016. He was recently honored with a nomination to the prestigious Prix de Composition Musicale from the Fondation Prince Pierre de Monaco and alongside such composers as Harrison Birtwistle and Kaija Saariaho. The final prize winner will be announced in the coming months.